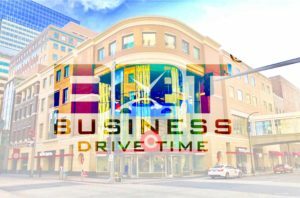 It’s Business Drive Time® in this new age, ever changing digital world. So, who in the marketplace is doing the finest job in the business race? Who are the winners? 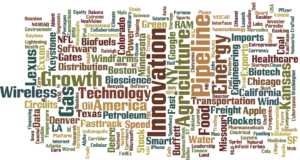 What industries, what companies, what products, which people are leading the pack? We are speaking with leaders across the country and throughout the most innovative industries as we attempt to answer these questions. It’s part Alpha Board’s National Business Leadership Tour. The tour includes companies and leaders from a number of the hottest markets in the U.S. and ultimately beyond. One of the subjects we will be discussing is the challenges and opportunities of building great brands in today’s dynamic technology world. We are speaking leaders inside well branded companies. In addition, we’re speaking with the marketing agencies and advisers that are helping promising companies manage and develop their brands in the marketplace. We’re not looking for leaders in the cliché companies. We’ll leave Google, Facebook, LinkedIn and their peers for someone else’s tour. We’re looking for the hidden gems, the fast companies, the smaller companies, the private companies and the emerging leaders who are mastering the art of new. We have the same philosophy as we select the cities in the tour. While New York, LA, San Francisco and Seattle may not be yesterday’s news, we’re visiting the cities that are truly winning in the 21st Century. Technology is hot, but even technology is not just for California anymore. 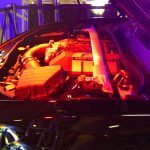 If you are in a city like Minneapolis, Kansas City, Denver, Austin, Phoenix-Scottsdale, Dallas, Nashville or Raleigh-Durham you may find yourself on our list of experts for the tour. One of the topics we will be discussing with leaders is the art and science of growing great brands and achieving marketplace attention in our new, always spinning, digital age. We’re looking for the experts that can tell us how the great brands roll. What are the most powerful methods and trends driving today’s new age brand growth? Are they product driven or market driving? Are their brands about loyalty, clicks or both? 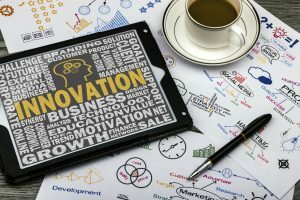 What is the blend of traditional marketing, product innovation, social media, the web and personal sales? Is there a secret formula? Is there one strategy or many? How are marketers finding the delicate balance between innovation, hard work? Traditional versus non-traditional tools? Who are market suppliers and media companies with the leading-edge approaches? Who are the agencies, digital leaders and market advisers that are doing the best work? If you are an engaged and engaging leader in today’s branding and marketing race, we’d love to hear what you have to say. We can be reached at 913 685-4850, or via email at dave@alphaboard.com. J.D. Higgason of Koehler Bortnick Realty is a premier home real estate professional in the Kansas City area. He has served as an advisor to Alpha Board on the growth elements of the Kansas City metro area. J.D. is an expert on the dynamics of local real estate market. J.D.’s Kansas City area home real estate practice is tied directly to the growth and vibrancy of the region. By working with local residents as well as families who are relocating to Kansas City, he knows what makes the Kansas City region attractive to working families. J.D. is the most senior level team member of the Koehler Bortnick Group beyond the firm’s founders, having worked there for over 15 years. Koehler Bortnick’s Leawood, Kan. based office of Reece Nichols Realty (reecenichols.com) is owned by Kathy Koehler and her daughter Heather Bortnick. With more than 45 real estate professionals, Koehler Bortnick was ranked 25th nationally among its peers in total sales in 2017 as according to the Wall Street Journal. https://bit.ly/2E32itu Also consistently number one in the Kansas City area, Koehler Bortnick sold more than 850 houses in 2018 averaging one house sold about every 10 hours throughout the year. Koehler Bortnick’s sales for 2018 were $356 million. The insights J.D. has provided include the view of an executive realtor, as well as a resident, leader and member of the Kansas City business community. J.D. 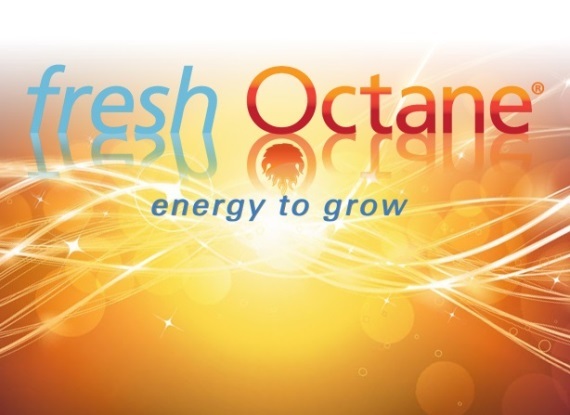 is a consummate professional with his career devoted to sales, service and account management. J.D. has and will continue to provide us with information about what residents and newcomers believe is special about the Kansas City community. He has helped us better understand where and why people choose to locate in the Kansas City region. J.D. 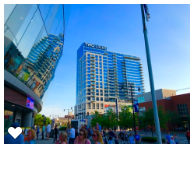 described for us what he believes are key drivers of growth in the area, the special attractions, activities and culture of the Kansas City community as well as the leadership and growth that the city provides as a 21st century, Midwest business hub. J.D. is a father, husband and former high school and college athlete. He has a degree in agricultural economics from Kansas State University and was raised on a farm in rural Norton County, Kan. near Logan.To reach J.D. to discuss your own Kansas City real estate needs, you can reach J.D. at the Koehler Bortnick office of Reece Nicholls Realty at www.KBSells.com. Sheila Ost of Target Insurance Services is Kansas City “business connected.” She has collaborated with privately-held Kansas City companies and their owners for more than two decades and has cultivated a network that is nearly unmatched among area business professionals. Our discussion with Sheila provided us with great insights on some of the most inviting features of the region. It helped us understand why Kansas City is an attractive destination for individuals, young professionals, families, business owners and companies. Sheila is a life-long member of the community. She grew up and continues to live in Johnson County, Kansas, a popular and affluent suburban county of the Kansas City metro http://www.jocogov.org/. Johnson County is a major driver of jobs and economic growth in the Kansas, Missouri and Kansas City regions. 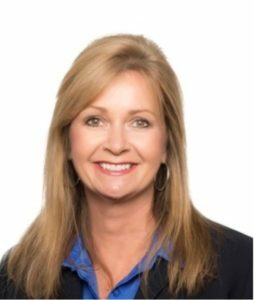 By the nature of her job, her professional skills and her tenure in the marketplace, Sheila is well-versed on the people, companies, dynamics and growth of the Kansas City area. She also provided extensive insights into the culture of living in Johnson County and the metropolitan area. Sheila travels often and is familiar with how Kansas City compares to peer cities throughout the nation. Sheila is well-known and highly-regarded in the Kansas City business community. Through Target, she directly provides insurance and other benefits solutions to the business owners and employees of privately-held companies throughout the area. Products include life insurance, long-term care coverage, disability income, Medicare Supplement, and others. Furthermore, by listening and asking questions, Sheila can craft long term plans for selling or transferring their businesses. Sheila also partners with benefits agencies, property/casualty professionals, attorneys, wealth managers and financial planning firms to provide education. In addition to the previously mentioned solutions, she provides products and services such as buy/sell, key man instruments and more to their clients. Sheila received her degree in business from Kansas State University, and along with her husband Ed, are parents to two future doctors. To learn more about the services that Sheila and Target Insurance provides to families, businesses, employees and business owners, visit www.targetins.com. Through his practice, Active Family Chiropractic, Dr. Welter provides advanced laser therapy services to athletes and other patients of all ages that are trying to recover from injuries, aches and pains. Chad’s story is one of a committed medical professional, an early adopter of technology and a committed business owner. His drive and passion are helping to heal patients, creating numerous happy customers and also creating a well-respected healthcare practice. 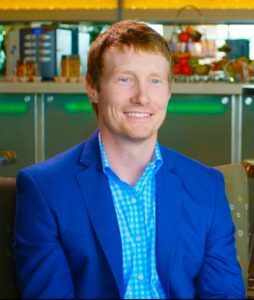 When Chad graduated from Cleveland University’s College of Chiropractic Medicine, he wanted to distinguish himself and his practice from other care providers. His personal experiences with sports, sports related injuries and the healing process helped him decide to incorporate advanced laser therapy into his practice. Dr. Welter was a competitive athlete throughout his formidable years. Chad was active in football, basketball and track in high school. 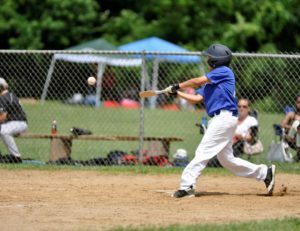 When not in school, he played baseball, and was (and is) an avid water and snow skier. He is also a participant in another specialized sport. Chad is a bull rider. Sports injuries and the necessary therapy and healing has been a part Dr. Welter’s own active life. 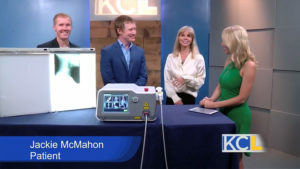 As a result, he found a way to incorporate advanced laser therapy into his practice. Laser therapy is a proven tool used regularly by professional sports teams to help their players heal more quickly. Laser therapy helps athletes get back in the game. 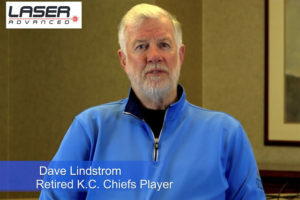 As a part of our discovery of Dr. Welter’s laser therapy practice, we spoke with David Lindstrom, a retired NFL player www.nfl.com and former member of the Kansas City Chiefs www.chiefs.com. David related to us the risks associated with injuries as a professional athlete. Sports related injuries are all part of the game even in the major leagues. However, when you are sidelined with injuries, the team will need to fill your spot with another player. The quicker you can heal and get back out on the field, the quicker you can return to your own position before the team decides they can live without you. Getting back out on the field of life is also important. Patients typically want to remain active and healthy as a part of their daily lives. Advanced laser therapy can also be a part of accelerated healing for the average active person in the routine of their daily life. Dr. Welter is a driven business owner, but he is driven to serve his patients. He has shown focus, vision and commitment as a sports medicine and injury recovery doctor. In six short years, he has developed a bustling practice that has reached patients from as far away as 300 miles. One of the best report cards a business can receive is referrals. Chad has a long and growing list of satisfied patients. This brings with them a steady stream of new patient referrals. Dr. Welter receives 30 to 50 new patients each month nearly entirely through word of mouth. This includes not only referrals from other patients, but also from professional athletes, coaches and trainers as well as doctors and surgeons in the area. Advanced laser therapy is a not only a proven treatment for sports injuries. Chad treats patients of all ages. 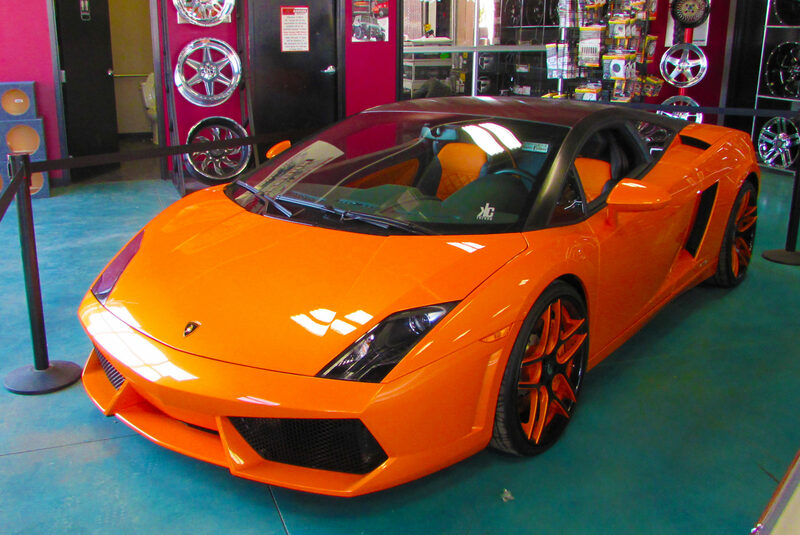 His customers have included infants, student athletes, active adults, professional athletes and seniors. This includes patients who are suffering from pain caused by recent injuries, age, over-exertion and bodily wear. Laser therapy can also provide enhanced comfort for persons who live with permanent injury and reoccurring chronic pain. 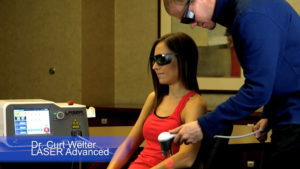 Laser therapy is an FDA approved treatment that has been around for many years. Recent advances in the laser technology have dramatically accelerated the patient treatment process. Injuries that used to require up to eight hours for each laser treatment can now be treated each time in a few minutes. Multiple visits are typically necessary, but each treatment is fast, safe and convenient. And his patients are seeing results, even from the most nagging pain and injuries. We have been impressed with Chad’s level of enthusiasm for life both professionally and personally. Beside growing his own practice that now includes his brother Curt, Dr. Welter is active in the Kansas City community. He is an avid sports fan, volunteers extensively for charities and fundraising events, and is a member of multiple community development organizations. He is also an active traveler throughout the country both personally and with his Laser Advanced business. 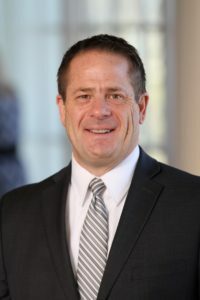 Prior to receiving his doctorate of chiropractic medicine at Cleveland University, Chad received a bachelors of science in medical diagnostic imaging at Fort Hays State University. Chad can be found locally at his Active Family Chiropractic www.ActiveFamilyKC.com office, at Royals baseball games www.mlb.com/royals, watching the Kansas City Chiefs and Sporting KC MLS soccer www.SportingKC.com and at charity golf tournaments. He enjoys outdoor activities, travel and helping other doctors with their sports medicine practices. Lisa Dunleavy is a valued advisor to the Alpha Board Tour. She is an expert on the Kansas City region, past, present and future. She could write a book about the city, and maybe she will! At first glance, Lisa is a typical member of the community, experiencing the daily life of the region like the rest of us. But there is more. Her family history with the city spans more than 150 years. Along with her husband, they share a lifetime experiences as a part of two large Kansas City families. Between the siblings in each of two families, their classmates, their friends, nephews, nieces and cousins, they have cultivated lasting relationships and connections reaching nearly every corner of the city. With four generations still living in the Kansas City region, Lisa gives a whole new dimension to the word connected. Lisa has a family heritage that has been a recognized part of the Kansas City community since the very early days of the city. Lisa is providing the Alpha Board Tour with Kansas City knowledge, insights and experiences that we could find in few other places. We’ll start with a few highlights, and continue the conversation with Lisa as we continue through the tour. After growing up in Kansas City, Mo. Lisa and her husband Steve raised their family in the Johnson County, Kan. suburbs. The area is home to a melting pot of residents from all over the country and beyond. According to Lisa and others, people feel an attraction to the Kansas City metro that makes it a difficult place to leave. Lisa is providing us with a view of what Kansas City is like as a new, modern, entrepreneurial, cultural city. While the city carries with it a deep history and Midwest roots, it has also become a melting pot for tech, a new economy town and a city that is connected to people around the country and around the world, both personally and professionally. 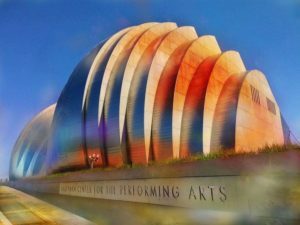 Dozens of major cultural venues and events allow Kansas City to thrive as a vibrant, sometimes undiscovered, crown jewel in the nation’s portfolio of cities. Kansas City also has a history and culture that creates a pride in the community. Much of that culture is tied to prominent Kansas City people. J.C. Nicholls built the Kansas City Country Club Plaza, patterned after Seville Spain. Built in the 1920’s, the Plaza was and remains the country’s first outdoor shopping mall. It was the blueprint for Rodeo Drive. Others include: Walt Disney. Joyce Hall, founder of Hallmark Cards. President Harry Truman. Members of the Eisenhower family. All of these notables have called Kansas City their home. 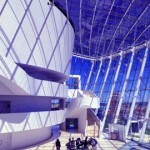 Kansas City also includes prominent names like the Kemper family of the Kemper Museum and Kemper Arena; the Kauffman family of the Kauffman Center for Entrepreneurism and the Kauffman Center for the Performing Arts; Lisa’s Muehlebach family of the Muehlebach Hotel, the Muehlebach Brewery (the city’s first major brewery), and Muehlebach Field (the first baseball stadium); President Harry Truman; William Rockhill Nelson who gave the city the Nelson-Atkins Museum of Art; Jackie Robinson of the Kansas City Monarchs. All of these and more have left their mark in the rich heritage of the city. And, while they lived lives of distinction, these families were and are approachable citizens blended into the fabric of daily Kansas City life. Someone once referred to Kansas City as a town with 1.2 degrees of separation from anyone and anything local. Never mind Kevin Bacon. As the title suggests, J.D. Higgason of Koehler Bortnick Realty refers to the city as “the largest small town in America.” An approachable culture despite a major metro of more than two million people, the friendliness and closeness of the city, and its Midwestern roots make it easier than most cities to get your arms around the town. You cannot experience Kansas City’s rich culture without also tasting the local cuisine. Kansas City was the original home of the American Restaurant Association (ARA.) Funded in 1919, ARA is celebrating a century of fine food this year from their new headquarters in Chicago. It was patterned after the Kansas City Restaurant Association, established two years earlier. The restaurants in the Kansas City region bring with them a kaleidoscope of different genres, nationalities, flavors and tastes. With nationally renown foodies like Michael Smith farinakc.com, Christopher Elbow elbowchocolates.com and Jasper Mirabile Jr. jasperskc.com, there is always something cooking in the heartland city. It’s no surprise that Lisa grew up with some of most notable restaurant families in town. The Mirabiles, the Dunleavys, the Muehlebachs and the Fiorellas were neighbors and friends. Once a community, always a community. With a global flair, Kansas City also has its own styles as well. 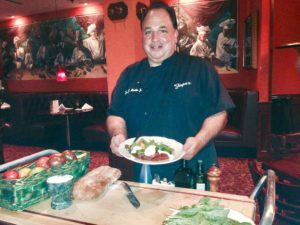 While both Jasper Mirabile and Michael Smith are known for their authentic Italian cooking, both can cook up a mean steak. Kansas City was once a major Midwestern livestock hub. This helped to not only to create an indelible tradition of great steaks, but also jazz, entertainment, hotels and speakeasies. Eating a steak in this town is a must. Kansas City is also home of the original Kansas City Strip. While New Yorkers like to put their own spin on the name (New York Strip,) the name and cut of beef originated with a butcher in Kansas City, America’s hometown of great steak. You cannot say Kansas City without barbecue. Kansas City has a rich heritage of jazz, barbecue and baseball that goes back more than a century. 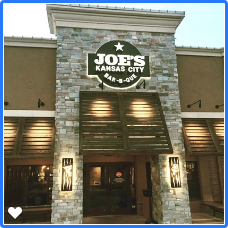 Local hangouts like Joes KC joeskc.com, Q39 q39kc.com and Jack Stack jackstackbbq.com attract barbecue fans from around the country. With more than a dozen local barbecue favorites, and thousands of fans, the annual American Royal World Series of Barbecue® www.americanroyal.com/bbq/ keeps the chefs sharp and the fires hot. Kansas City is a private company town. 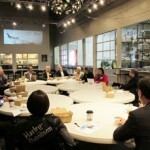 With more than 100,000 privately-owned companies in Kansas City, it is a city of entrepreneurs and business builders. That is one company for every man, woman and child in town, meaning the average size of a company is approximate 12 employees, despite global giants like Cerner, Sprint and Hallmark. While most of the private companies are small family-owned businesses, over the years established companies grow. The region is home to hundreds of multigenerational businesses. 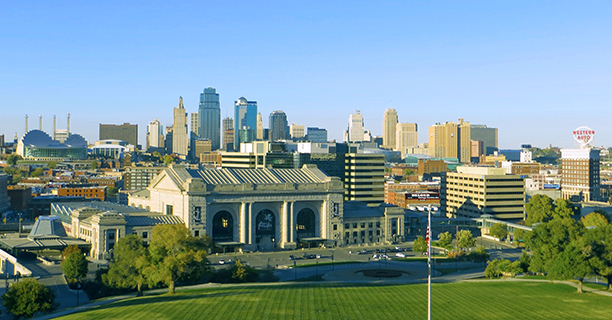 Family names like Muehlebach, Kemper, Mirabile, Fiorella, Lockton, Hall, Baldwin, Regnier, Dunn, Goppert, Stowers and many more are not just tied to Kansas City businesses, they are tied to Kansas City families and a rich Kansas City heritage. Kansas City is home to regional offices of major companies based throughout the U.S., North America and the globe. John Deere has their North American Sales and Marketing Center in Kansas City. Major national companies like Ford, Microsoft, Google, U.S. Bank, Accenture, KPMG and many more have regional offices in the Kansas City metro. And, Kansas City is home to headquarters locations for some of the nation’s notable law firms as well. Five major Kansas City based firms have offices around the world, yet they call the area their home. The ebbs and flows of a diversity of people moving in and out of the region, as well as daily business and personal travel to destinations beyond, keep Kansas City moving and connected in ways that few consider. Kansas City may be perceived by outsiders as an isolated Midwest city, but it’s truly a melting pot of personal and professional diversity. We’ll continue to check in with Lisa Dunleavy as we progress through the Kansas City Alpha Board Tour. She will continue to provide us with insights into the past, present and future of the Kansas City region. 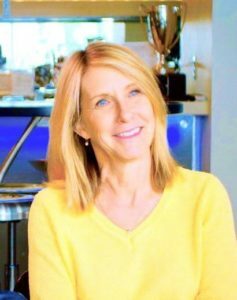 Lisa will connect us with stories of Kansas City area leaders, the culture, the landmarks of the city and some of the people, past and present, who make the city what it is today. She’ll help us tell the stories of why and where people love to live in Kansas City. And as she has time, Lisa will help guide us to other cities as a part of Alpha Board Innovation Tour across the nation and ultimately beyond. 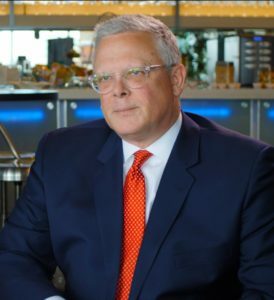 We recently began a series of interviews with Kurt Knutson, founder, chairman and CEO of Freedom Bank of Overland Park, Kansas, the largest suburb in the Kansas City metro area. Today’s topic is a discussion about “Why Kansas City.” Why are business leaders and leading businesses in Kansas City so driven? What is it about the Kansas City region that makes it a great place to live, work, raise a family and grow a business? In addition to viewing Kansas City as a CEO and business banker, Kurt sees through the lens of a husband, father and member of the community. Kurt chose Kansas City as a career destination out of college. He considered Kansas City, Minneapolis and Chicago as solid locations for him to start his career. Here are some of his considerations, beginning in 1982 and now through the eyes of a seasoned Kansas City business leader. 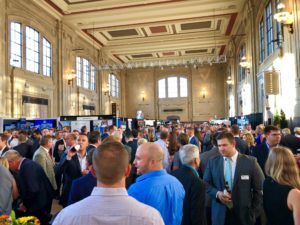 Why is the Kansas City metro a great place for small businesses? Small businesses are the ultimate driver of the majority of job growth in the U.S. economy. Kansas City is no exception. The Kansas City metro is an excellent small business city. And, we cannot evaluate the area’s business community without also discussing why the Kansas City region is a great place to live, work and raise a family. affected by national economic cycles. 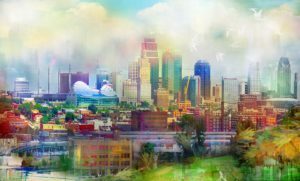 Kansas City’s diverse, non-coastal, small business economy typically serves as an economic buffer to some of the impacts and shocks of national economic volatility. Kansas City is undoubtedly a wonderful place to raise a family. That alone makes for a great economic development engine. Overland Park, the largest Kansas suburb, consistently ranks among the top in the nation for raising a family. https://bit.ly/2WUTYmT Quality of life, broadly defined, is one of the most attractive and important growth factors for the region. The public-school systems on the Kansas side of the metro are a significant economic driver. The three major districts are Blue Valley, Shawnee Mission and Olathe. A melting pot of people for everywhere, keeping the city engaged, open-minded and vibrant. In addition to a firm foundation of Kansas City area natives, Kansas City, Mo. and especially Johnson County are home to people who moved here from around the country and around the world. The diverse population, combined with a family friendly culture and a lower stress city, keeps the business population vibrant, engaged and open to new ideas. Because of its livability and centralized location, the KC metro is home to regional offices of many of the country’s most notable employers. Even when local employees are offered subsequent transfers to other communities, many have fallen in love with the Kansas City area and choose to stay. 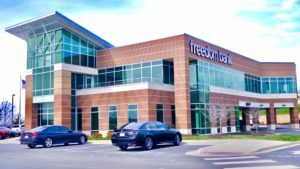 We will continue to follow progress at Freedom Bank as our business tour of the Kansas City area continues. 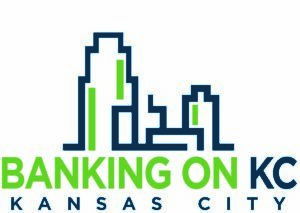 Kurt and his team at Freedom Bank represent all that is right with the Kansas City area and Kansas City business, and we’re excited to continue our journey of following the progress of stand-out business owners in the Kansas City area and beyond. For more information about Freedom Bank services, contact Kurt Knutson via email at kknutson@ibankwithfreedom.com. 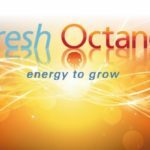 You may call the bank at 913 563-5600, or visit them on the web at www.IBankWithFreedom.com. 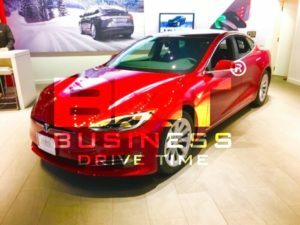 It’s Business Drive Time® in America, and we’re on a national business leadership tour. 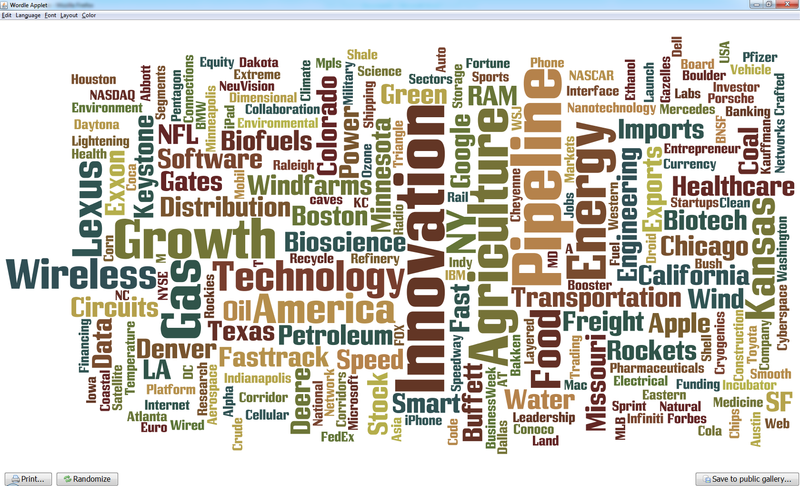 We are speaking with some of the finest leaders across America’s top growth industries. We are fielding a national market study, developing news stories and creating a video series about leading growth cities, industries, companies and people. We recently sat down with Kurt Knutson of Freedom Bank in Overland Park in Overland Park, Kan., a growing suburb of in the Kansas City metro. Kurt is a respected CEO, a CEO advisor and business founder. Freedom Bank is one of the most well-managed business owner banks you will find. In addition to business banking insights, Kurt has provided valuable insights on what is required to foster growth of privately held companies. The $180 million bank was founded by Kurt in 2005 after more than 20 years of prior commercial banking and finance experience. Freedom Bank is a new kind of bank, dealing exclusively with small to medium-sized privately held companies. Freedom Bank’s lending services focus on business term loans, working capital lines of credit and owner-occupied business real estate loans. The bank’s mission, the portfolio of services and even the contemporary headquarters building were developed around the unique needs of business owners. Freedom Bank’s personalized level of services mirror what was once the norm in banking. This single-location, community bank with a visible, respected leader is something Kurt experienced firsthand as he grew up in the Midwestern town of Waterloo, Iowa, home of John Deere Tractor Works www.deere.com. In addition to Freedom Bank, Kurt worked with his investor group to create a Founders Club and a Freedom Bank Foundation. 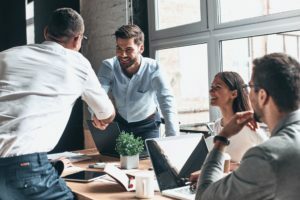 Associated activities help to cultivate ongoing business friendships and professional connections for all involved. 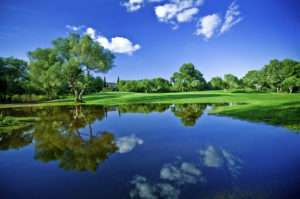 Freedom Bank hosts quarterly in-house events and an annual charity golf tournament. Kurt and his team select worthy local causes each year to receive the tournament proceeds. Kurt also established a Freedom Bank banking and corporate finance training institute. The Freedom Bank Institute offers young professionals a taste of career opportunities in business banking. The institute provides student internships and training to promising young professionals on the subjects of banking, credit analysis and corporate finance. Kurt is active in the business and banking community across the region. He is a member and past chairman of the Kansas Banking Board within the Office of the State Bank Commissioner. Kurt is an active member and chairman elect of the Kansas Bankers Association www.ksbankers.com, and is a member of KBA’s federal affairs committee. Kurt is on the board of the Kansas Chamber of Commerce www.kansaschamber.org, and a corporate board member of Clements Worldwide, a leading supplier of insurance solutions for expatriates and international organizations. 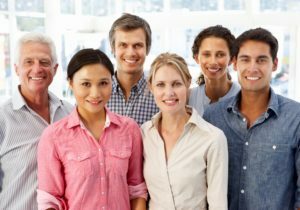 For business loans in the Kansas City region, you can reach Kurt and Freedom Bank at www.IBankWithFreedom.com. We are currently a key player in a national leadership tour, market study and business leadership exchange. The program is a showcase platform to highlight the best business drivers across a number of major metros throughout the United States. We are showcasing distinguished companies, business leaders and cities that are poised for major business growth over the next five years. The tour will include more than a dozen cities across the country, as well as some hidden gems in key rural and small town regions. We have some special plans for Kansas City area leaders. The Kansas City metro is our home, and we want to take this opportunity to showcase the city and it’s leaders on the tour. While our organization is national in scope, the Kansas City area has been headquarters for the past 15 years. We have lifelong ties to the region and a strong affinity to the people, the communities, the businesses and the lifestyle of the greater Kansas City metro. Because of our commitment to the Kansas City region, we’re developing a special platform to promote Kansas City based businesses, industries and leaders in conjunction with our U.S. Alpha Board tour. Our “Growing up KC” program is a special series to promote KC area leaders, companies, lifestyles and growth opportunities on a local, regional and national scale. So, what does that mean? Quite simply, “leaders wanted.” We are putting together a list of some of the standout leaders who represent not only the legacy of the region, but the future. We are seeking business owners, CEOs, senior executives, business advisors, and also “Kansas City lifestyle” experts to helps us tell the story of Kansas City to the world. It’s an opportunity for leaders to interact with each other, meet other leaders in other cities, highlight their businesses, and frankly get placed in the news. We cannot promise the cover of Rolling Stone magazine but our past efforts have been well received. Our work has been recognized by BusinessWeek, Forbes, CNBC, Reuters, Bloomberg, MSNBC, EuroInvestor, and dozens more. One lucky chap that went through this process subsequently became the featured cover story for Fortune Small Business. Through Alpha Board, we will host speeches, CEO interviews, panel discussions, a series of leader roundtables, and also work with leaders to develop news profiles about their respective companies. There will be some significant opportunities beyond this, but one thing at a time. If you are an Alpha Grade leader, and spend at least a portion of your personal and professional life associated with a Kansas City area business, we’d love to have you join us. One quick word of note. We’ll be working with key industry leaders and innovators in other cities, states, companies and industries across the country. A major goal of the program is a national leadership exchange, providing national visibility and opportunities to develop new relationships with business leaders throughout the U.S. Our Alpha Board Leadership Exchange will bring national leaders and experts to Kansas City and Kansas City leaders to other markets across the nation. We believe your reputation is like rainfall. You need to spread it around a bit even to grow anything at home. 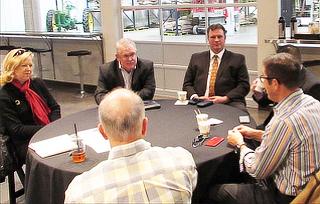 As we bring national guest CEOs and business leaders to the Kansas City region, local leaders who participate in the “Growing up KC” program and/or the national Alpha Board activities will have the opportunity to meet them, hear them speak, and participate exclusively in KC area Alpha Board Leadership Exchanges. There will be reciprocal trips as well, as we bring Kansas City leaders to other peer cities. As a result, there is some urgency and advantage to getting your name in the hat, and getting involved in the process. For more information on Alpha® Board, and/or to include your company in our publicity efforts, you can call me at 913 685-4850 or 612 810-4000, or reach me via email at dave@neuvision.com. 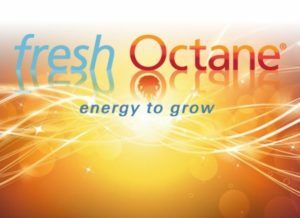 Alpha Board and NeuVision Group are founding hosts of the 2018-2020 Fresh Octane® Tour. In addition, we’ll be including sponsors and co- hosts throughout America’s Heartland. More market partners will be announced as the tour rolls on.